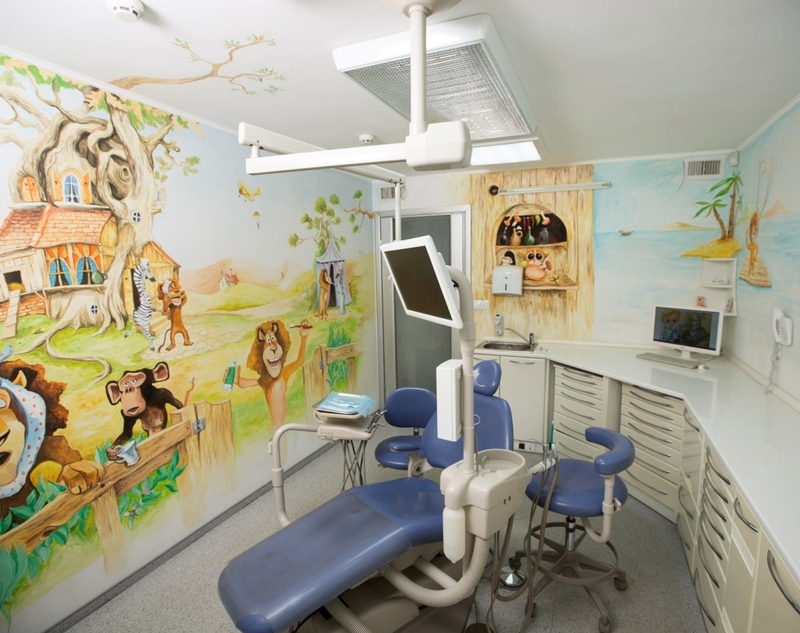 Do children need dental treatment? Everyone knows how important it is to treat permanent teeth, but it is also important to have healthy milk teeth, as it is the key to healthy permanent teeth and normal growth of the organism in general.Everyone knows how important it is to treat permanent teeth, but it is also important to have healthy milk teeth, as it is the key to healthy permanent teeth and normal growth of the organism in general.Everyone knows how important it is to treat permanent teeth, but it is also important to have healthy milk teeth, as it is the key to healthy permanent teeth and normal growth of the organism in general.Everyone knows how important it is to treat permanent teeth, but it is also important to have healthy milk teeth, as it is the key to healthy permanent teeth and normal growth of the organism in general.Everyone knows how important it is to treat permanent teeth, but it is also important to have healthy milk teeth, as it is the key to healthy permanent teeth and normal growth of the organism in general.Everyone knows how important it is to treat permanent teeth, but it is also important to have healthy milk teeth, as it is the key to healthy permanent teeth and normal growth of the organism in general.Everyone knows how important it is to treat permanent teeth, but it is also important to have healthy milk teeth, as it is the key to healthy permanent teeth and normal growth of the organism in general.Everyone knows how important it is to treat permanent teeth, but it is also important to have healthy milk teeth, as it is the key to healthy permanent teeth and normal growth of the organism in general.Everyone knows how important it is to treat permanent teeth, but it is also important to have healthy milk teeth, as it is the key to healthy permanent teeth and normal growth of the organism in general.Everyone knows how important it is to treat permanent teeth, but it is also important to have healthy milk teeth, as it is the key to healthy permanent teeth and normal growth of the organism in general.Everyone knows how important it is to treat permanent teeth, but it is also important to have healthy milk teeth, as it is the key to healthy permanent teeth and normal growth of the organism in general.Everyone knows how important it is to treat permanent teeth, but it is also important to have healthy milk teeth, as it is the key to healthy permanent teeth and normal growth of the organism in general.Everyone knows how important it is to treat permanent teeth, but it is also important to have healthy milk teeth, as it is the key to healthy permanent teeth and normal growth of the organism in general.Everyone knows how important it is to treat permanent teeth, but it is also important to have healthy milk teeth, as it is the key to healthy permanent teeth and normal growth of the organism in general.Everyone knows how important it is to treat permanent teeth, but it is also important to have healthy milk teeth, as it is the key to healthy permanent teeth and normal growth of the organism in general.Everyone knows how important it is to treat permanent teeth, but it is also important to have healthy milk teeth, as it is the key to healthy permanent teeth and normal growth of the organism in general.Everyone knows how important it is to treat permanent teeth, but it is also important to have healthy milk teeth, as it is the key to healthy permanent teeth and normal growth of the organism in general.Everyone knows how important it is to treat permanent teeth, but it is also important to have healthy milk teeth, as it is the key to healthy permanent teeth and normal growth of the organism in general.Everyone knows how important it is to treat permanent teeth, but it is also important to have healthy milk teeth, as it is the key to healthy permanent teeth and normal growth of the organism in general.Everyone knows how important it is to treat permanent teeth, but it is also important to have healthy milk teeth, as it is the key to healthy permanent teeth and normal growth of the organism in general.Everyone knows how important it is to treat permanent teeth, but it is also important to have healthy milk teeth, as it is the key to healthy permanent teeth and normal growth of the organism in general.Everyone knows how important it is to treat permanent teeth, but it is also important to have healthy milk teeth, as it is the key to healthy permanent teeth and normal growth of the organism in general.Everyone knows how important it is to treat permanent teeth, but it is also important to have healthy milk teeth, as it is the key to healthy permanent teeth and normal growth of the organism in general.Everyone knows how important it is to treat permanent teeth, but it is also important to have healthy milk teeth, as it is the key to healthy permanent teeth and normal growth of the organism in general.Everyone knows how important it is to treat permanent teeth, but it is also important to have healthy milk teeth, as it is the key to healthy permanent teeth and normal growth of the organism in general.Everyone knows how important it is to treat permanent teeth, but it is also important to have healthy milk teeth, as it is the key to healthy permanent teeth and normal growth of the organism in general.Everyone knows how important it is to treat permanent teeth, but it is also important to have healthy milk teeth, as it is the key to healthy permanent teeth and normal growth of the organism in general.Everyone knows how important it is to treat permanent teeth, but it is also important to have healthy milk teeth, as it is the key to healthy permanent teeth and normal growth of the organism in general.Everyone knows how important it is to treat permanent teeth, but it is also important to have healthy milk teeth, as it is the key to healthy permanent teeth and normal growth of the organism in general.Everyone knows how important it is to treat permanent teeth, but it is also important to have healthy milk teeth, as it is the key to healthy permanent teeth and normal growth of the organism in general.Everyone knows how important it is to treat permanent teeth, but it is also important to have healthy milk teeth, as it is the key to healthy permanent teeth and normal growth of the organism in general.Everyone knows how important it is to treat permanent teeth, but it is also important to have healthy milk teeth, as it is the key to healthy permanent teeth and normal growth of the organism in general. How to prevent a dentist fear? 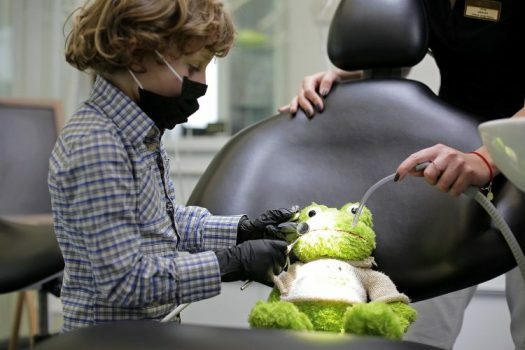 Almost all children feel fear at the dentist office. That is why pediatricians recommend regular visits to a dentist already after reaching the age of 1. We are talking about psychological adaptation when a child comes just to show his or her teeth, have a ride on a dental chair, and play with toys – no negative emotions! And when the treatment is required, a baby will not be afraid of a doctor.Almost all children feel fear at the dentist office. That is why pediatricians recommend regular visits to a dentist already after reaching the age of 1. We are talking about psychological adaptation when a child comes just to show his or her teeth, have a ride on a dental chair, and play with toys – no negative emotions! And when the treatment is required, a baby will not be afraid of a doctor.Almost all children feel fear at the dentist office. That is why pediatricians recommend regular visits to a dentist already after reaching the age of 1. We are talking about psychological adaptation when a child comes just to show his or her teeth, have a ride on a dental chair, and play with toys – no negative emotions! And when the treatment is required, a baby will not be afraid of a doctor.Almost all children feel fear at the dentist office. That is why pediatricians recommend regular visits to a dentist already after reaching the age of 1. We are talking about psychological adaptation when a child comes just to show his or her teeth, have a ride on a dental chair, and play with toys – no negative emotions! And when the treatment is required, a baby will not be afraid of a doctor.Almost all children feel fear at the dentist office. That is why pediatricians recommend regular visits to a dentist already after reaching the age of 1. We are talking about psychological adaptation when a child comes just to show his or her teeth, have a ride on a dental chair, and play with toys – no negative emotions! And when the treatment is required, a baby will not be afraid of a doctor.Almost all children feel fear at the dentist office. That is why pediatricians recommend regular visits to a dentist already after reaching the age of 1. We are talking about psychological adaptation when a child comes just to show his or her teeth, have a ride on a dental chair, and play with toys – no negative emotions! And when the treatment is required, a baby will not be afraid of a doctor.Almost all children feel fear at the dentist office. That is why pediatricians recommend regular visits to a dentist already after reaching the age of 1. 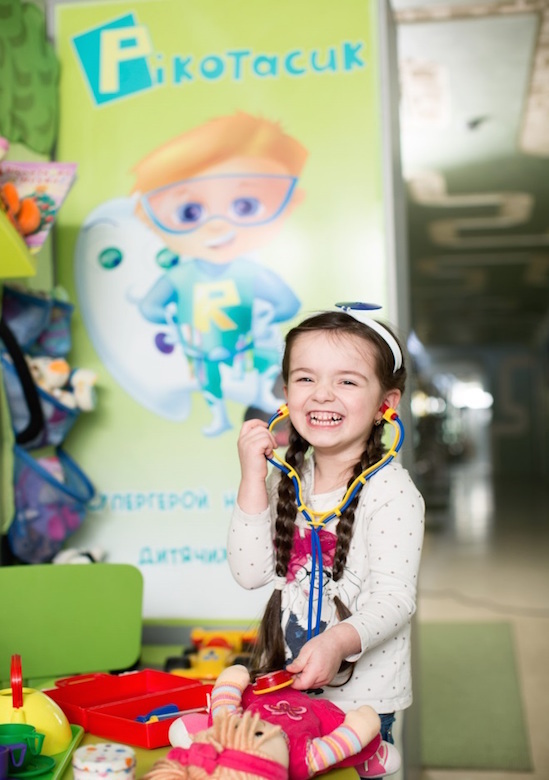 We are talking about psychological adaptation when a child comes just to show his or her teeth, have a ride on a dental chair, and play with toys – no negative emotions! And when the treatment is required, a baby will not be afraid of a doctor.Almost all children feel fear at the dentist office. That is why pediatricians recommend regular visits to a dentist already after reaching the age of 1. We are talking about psychological adaptation when a child comes just to show his or her teeth, have a ride on a dental chair, and play with toys – no negative emotions! And when the treatment is required, a baby will not be afraid of a doctor.Almost all children feel fear at the dentist office. That is why pediatricians recommend regular visits to a dentist already after reaching the age of 1. We are talking about psychological adaptation when a child comes just to show his or her teeth, have a ride on a dental chair, and play with toys – no negative emotions! And when the treatment is required, a baby will not be afraid of a doctor.Almost all children feel fear at the dentist office. That is why pediatricians recommend regular visits to a dentist already after reaching the age of 1. We are talking about psychological adaptation when a child comes just to show his or her teeth, have a ride on a dental chair, and play with toys – no negative emotions! And when the treatment is required, a baby will not be afraid of a doctor.Almost all children feel fear at the dentist office. That is why pediatricians recommend regular visits to a dentist already after reaching the age of 1. 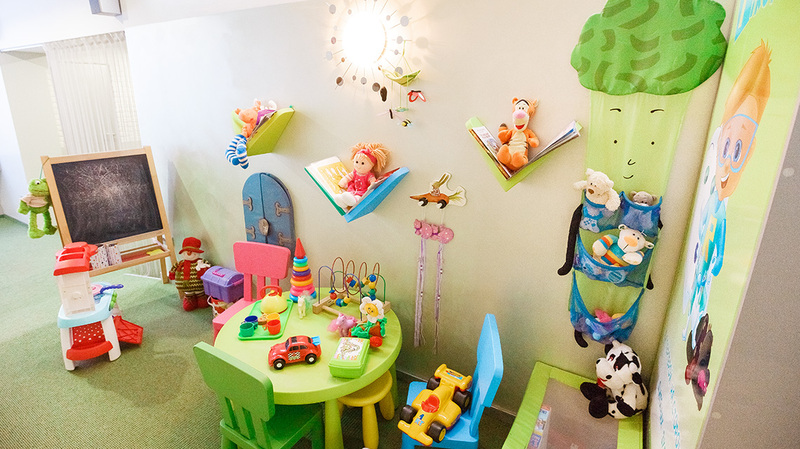 We are talking about psychological adaptation when a child comes just to show his or her teeth, have a ride on a dental chair, and play with toys – no negative emotions! And when the treatment is required, a baby will not be afraid of a doctor.Almost all children feel fear at the dentist office. That is why pediatricians recommend regular visits to a dentist already after reaching the age of 1. We are talking about psychological adaptation when a child comes just to show his or her teeth, have a ride on a dental chair, and play with toys – no negative emotions! And when the treatment is required, a baby will not be afraid of a doctor.Almost all children feel fear at the dentist office. That is why pediatricians recommend regular visits to a dentist already after reaching the age of 1. We are talking about psychological adaptation when a child comes just to show his or her teeth, have a ride on a dental chair, and play with toys – no negative emotions! And when the treatment is required, a baby will not be afraid of a doctor.Almost all children feel fear at the dentist office. That is why pediatricians recommend regular visits to a dentist already after reaching the age of 1. We are talking about psychological adaptation when a child comes just to show his or her teeth, have a ride on a dental chair, and play with toys – no negative emotions! And when the treatment is required, a baby will not be afraid of a doctor.Almost all children feel fear at the dentist office. That is why pediatricians recommend regular visits to a dentist already after reaching the age of 1. We are talking about psychological adaptation when a child comes just to show his or her teeth, have a ride on a dental chair, and play with toys – no negative emotions! And when the treatment is required, a baby will not be afraid of a doctor.Almost all children feel fear at the dentist office. That is why pediatricians recommend regular visits to a dentist already after reaching the age of 1. We are talking about psychological adaptation when a child comes just to show his or her teeth, have a ride on a dental chair, and play with toys – no negative emotions! And when the treatment is required, a baby will not be afraid of a doctor.Almost all children feel fear at the dentist office. That is why pediatricians recommend regular visits to a dentist already after reaching the age of 1. We are talking about psychological adaptation when a child comes just to show his or her teeth, have a ride on a dental chair, and play with toys – no negative emotions! And when the treatment is required, a baby will not be afraid of a doctor.Almost all children feel fear at the dentist office. That is why pediatricians recommend regular visits to a dentist already after reaching the age of 1. We are talking about psychological adaptation when a child comes just to show his or her teeth, have a ride on a dental chair, and play with toys – no negative emotions! And when the treatment is required, a baby will not be afraid of a doctor.Almost all children feel fear at the dentist office. That is why pediatricians recommend regular visits to a dentist already after reaching the age of 1. We are talking about psychological adaptation when a child comes just to show his or her teeth, have a ride on a dental chair, and play with toys – no negative emotions! And when the treatment is required, a baby will not be afraid of a doctor.Almost all children feel fear at the dentist office. That is why pediatricians recommend regular visits to a dentist already after reaching the age of 1. We are talking about psychological adaptation when a child comes just to show his or her teeth, have a ride on a dental chair, and play with toys – no negative emotions! And when the treatment is required, a baby will not be afraid of a doctor.Almost all children feel fear at the dentist office. That is why pediatricians recommend regular visits to a dentist already after reaching the age of 1. We are talking about psychological adaptation when a child comes just to show his or her teeth, have a ride on a dental chair, and play with toys – no negative emotions! And when the treatment is required, a baby will not be afraid of a doctor.Almost all children feel fear at the dentist office. That is why pediatricians recommend regular visits to a dentist already after reaching the age of 1. We are talking about psychological adaptation when a child comes just to show his or her teeth, have a ride on a dental chair, and play with toys – no negative emotions! And when the treatment is required, a baby will not be afraid of a doctor.Almost all children feel fear at the dentist office. That is why pediatricians recommend regular visits to a dentist already after reaching the age of 1. We are talking about psychological adaptation when a child comes just to show his or her teeth, have a ride on a dental chair, and play with toys – no negative emotions! And when the treatment is required, a baby will not be afraid of a doctor.Almost all children feel fear at the dentist office. That is why pediatricians recommend regular visits to a dentist already after reaching the age of 1. We are talking about psychological adaptation when a child comes just to show his or her teeth, have a ride on a dental chair, and play with toys – no negative emotions! And when the treatment is required, a baby will not be afraid of a doctor.Almost all children feel fear at the dentist office. That is why pediatricians recommend regular visits to a dentist already after reaching the age of 1. We are talking about psychological adaptation when a child comes just to show his or her teeth, have a ride on a dental chair, and play with toys – no negative emotions! And when the treatment is required, a baby will not be afraid of a doctor.Almost all children feel fear at the dentist office. That is why pediatricians recommend regular visits to a dentist already after reaching the age of 1. We are talking about psychological adaptation when a child comes just to show his or her teeth, have a ride on a dental chair, and play with toys – no negative emotions! And when the treatment is required, a baby will not be afraid of a doctor.Almost all children feel fear at the dentist office. That is why pediatricians recommend regular visits to a dentist already after reaching the age of 1. 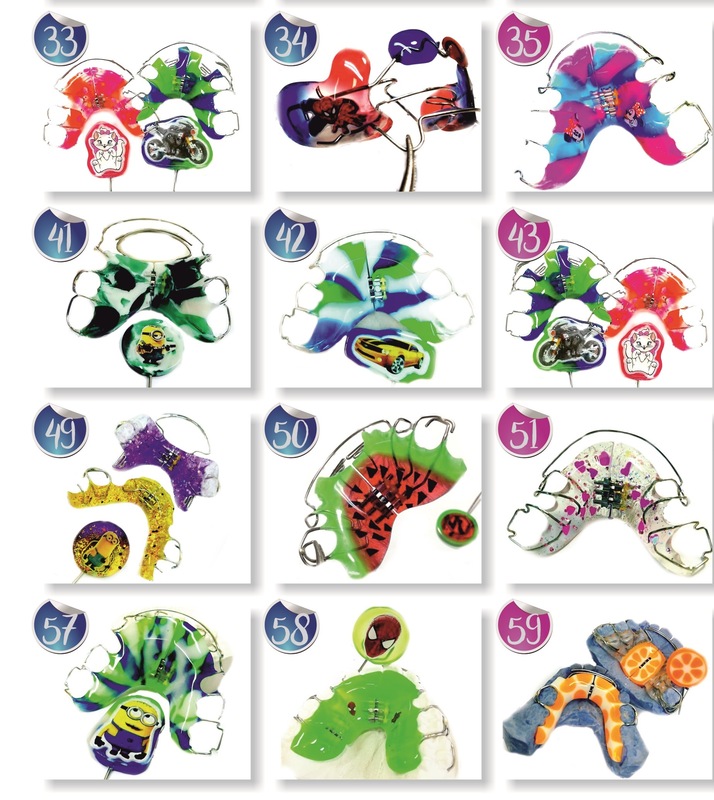 We are talking about psychological adaptation when a child comes just to show his or her teeth, have a ride on a dental chair, and play with toys – no negative emotions! And when the treatment is required, a baby will not be afraid of a doctor.Almost all children feel fear at the dentist office. That is why pediatricians recommend regular visits to a dentist already after reaching the age of 1. We are talking about psychological adaptation when a child comes just to show his or her teeth, have a ride on a dental chair, and play with toys – no negative emotions! And when the treatment is required, a baby will not be afraid of a doctor.Almost all children feel fear at the dentist office. That is why pediatricians recommend regular visits to a dentist already after reaching the age of 1. We are talking about psychological adaptation when a child comes just to show his or her teeth, have a ride on a dental chair, and play with toys – no negative emotions! And when the treatment is required, a baby will not be afraid of a doctor.Almost all children feel fear at the dentist office. That is why pediatricians recommend regular visits to a dentist already after reaching the age of 1. We are talking about psychological adaptation when a child comes just to show his or her teeth, have a ride on a dental chair, and play with toys – no negative emotions! And when the treatment is required, a baby will not be afraid of a doctor.Almost all children feel fear at the dentist office. That is why pediatricians recommend regular visits to a dentist already after reaching the age of 1. We are talking about psychological adaptation when a child comes just to show his or her teeth, have a ride on a dental chair, and play with toys – no negative emotions! And when the treatment is required, a baby will not be afraid of a doctor.Almost all children feel fear at the dentist office. That is why pediatricians recommend regular visits to a dentist already after reaching the age of 1. 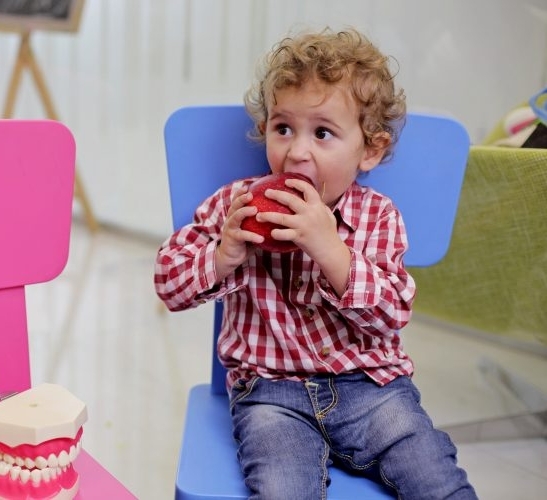 We are talking about psychological adaptation when a child comes just to show his or her teeth, have a ride on a dental chair, and play with toys – no negative emotions! And when the treatment is required, a baby will not be afraid of a doctor. (ua) Від якісного лікування молочних зубів залежить здоров’я постійних зубів. Патологічний процес у твердих тканинах тимчасових зубів поширюється дуже швидко. Тому лише вчасне та ефективне лікування може стримати розвиток карієсу та його ускладнення. Причиною карієсу є бактерії, і виникає він через недостатню гігієну ротової порожнини. Карієс тимчасових зубів у дітей не може передаватися спадково, тому хибною є думка, що у дитини погані зуби через те, що такі ж були у дідуся або мами. Дуже часто діти взагалі не чистять зуби, або ж починають це робити занадто пізно, чи роблять недостатньо ретельно. Тому необхідно пам’ятати та дотримуватися простих рекомендацій: навіть молочні зуби потрібно чистити двічі на день, починаючи з моменту, коли прорізався перший зуб. Дитину треба привчити самостійно чистити зуби, проте дорослим рекомендовано дочищати зуби дітям до 12 років. Якщо ви помітили на зубах плями молочно-жовтого кольору – це перші ознаки карієсу молочних зубів, і такі зуби вже треба лікувати. А якщо плями почорніли – це ознака того, що у зубі вже є порожнина, і слід терміново звернутися до стоматолога. Адже чим швидше почати лікування карієсу у дітей, тим швидшою та дешевшою буде процедура. Майже 80% наших маленьких пацієнтів звертаються до нас вже з пульпітом молочних зубів. Це вчасно не поліковані від карієсу зуби, в яких вже потрібно лікувати канал. Тому не варто відкладати візит до стоматолога, регулярно проходьте контрольні огляди та ретельно чистіть зуби. (ua) Кваліфіковані спеціалісти стоматологічної клініки РIKOTA / RIKOTA завжди знаходять індивідуальний підхід до кожного маленького пацієнта. Проте інколи бувають випадки, коли потрібно проводити лікування зубів у дітей під загальним наркозом. Наркоз для дітей в стоматології застосовують, щоб не травмувати дитину фізично і психологічно під час лікування, якщо дитина не хоче йти на контакт з лікарем, плаче та виривається. У стоматологічній клініці РІКОТА / RIKOTA наркоз для дітей при лікуванні, як правило, використовують у випадку глибоко уражених трьох і більше зубів. Знеболення відбувається внутрішньовенно і дитина вводиться у стан сну. Загальне знеболення проводять лише дітям старше 3 років. Якщо дитина не йде на контакт, має багато уражень, але є молодшою цього віку, ми рекомендуємо зачекати 2-3 місяці. На цей проміжок часу ми призначаємо лікувальний гель та рекомендуємо періодично приходити на огляд, щоб малеча звикала до стоматологічного кабінету та лікаря. У цьому віці дитина швидко змінюється та стає більш свідомою, і після 2-3 легше йде на контакт. Знеболення дітей проводить кваліфікований лікар-анестезіолог, використовуючи при цьому лише високоякісні препарати. Для отримання детальнішої інформації рекомендуємо записатися на консультацію до наших фахівців. (ua) Як правило, молочні зуби випадають самі, проте інколи трапляються випадки, коли їх доводиться видаляти. Кваліфіковані дитячі стоматологи клініки РІКОТА / RIKOTA, що працюють за спеціально розробленою програмою дитячої стоматології „Рікотасик”, мають індивідуальний підхід до кожного маленького пацієнта, щоб провести видалення молочного зуба лише під локальним знеболенням, без необхідності застосовувати загальний наркоз. Видалення молочних зубів необхідне у тих випадках, коли тимчасовий зуб дуже зруйнований, і є загроза ураження зачатка постійного зуба або ж коли не розсмоктався корінь. Під час жування відбувається амортизація зуба, і корінь молочного зуба стирається (цей процес називається резорбція). У випадку, коли функція жування порушена, резорбція не відбувається або відбувається дуже повільно. У такому випадку тимчасовий зуб може не випасти у потрібний час, і його потрібно видалити. (ua) Фтор – найважливіший елемент, що відповідає за міцність наших зубів, як у ранньому віці, так і протягом всього життя. Ми пропонуємо процедуру фторування зубів як для дорослих, так і для маленьких пацієнтів. Фторування – це ремінарелізація зубної емалі, що є відмінною профілактикою карієсу, адже насичення зубів фтором робить їх міцнішими та стійкішими до впливу зовнішніх чинників. Відомо, що карієс молочних зубів прогресує значно швидше, ніж постійних, тому ми рекомендуємо процедуру фторування молочних зубів нашим найменшим пацієнтам! Під час роботи ми використовуємо білий лак Clinpro, який полімеризується за допомогою слини. Він містить іони кальцію, а при взаємодії з фтором укріплює емаль та сповільнює процес розвитку карієсу. Окрім цього, дана процедура може проводитися і для зняття чутливості зубів. Процедура фторування зубів проводиться після огляду, за рекомендацією лікаря та не має вікових обмежень. Після процедури потрібно дотримуватися порад лікаря, а саме не їсти протягом 2 години та не пити протягом 30 хвилин. По завершенню цього часу пацієнт знову може повертатися до звичного ритму життя. (ua) 6-7 років – найкращий період, аби показати дитину ортодонту. Якщо зубки Вашої дитини є нерівними, нахилені вперед (чи, навпаки, відхилені назад), при змиканні зубів спостерігається зміщення щелепи в сторону, між зубами наявні суттєві проміжки або ж вони розташовані дуже тісно, в ротовій порожнині наявні “лишні” зуби чи передчасно втрачено молочні зубки, візит до ортодонта є обов`язковим. Адже чим раніше почнеться виправлення прикусу тим більша ймовірність що лікування буде максимально ефективним.Вік від 6 до 12 років вважається оптимальним для початку ортодонтичного лікування, адже в цей час настає період змінного прикусу, коли молочні зуби змінюються постійними, і саме в цей час вже можна чітко побачити всі порушення прикусу у дитини. Заміна останніх молочних зубів відбувається у 10-12 років. У цей період ріст щелеп сповільнюється і місця для постійних зубів може не вистачати. Якщо в цей проміжок часу не звернути достатньої уваги на порушення, викликані сповільненим ростом щелепи, то вже в 13-14 років зуби почнуть скупчуватись і викривлятись. Для дітей шкільного віку можуть застосовуватись як трейнери, знімні апарати (пластинки), так і брекети – незнімна ортодонтична техніка. Детальніше про лікування брекетами за посиланням.